Rejoice! It's once again time to gaze upon TechRadar's roundup of all things smartphone, tablet and wearable related, this week brought to you by red wine, caffeine and copious cold and flu nasal spray. This week kicked off to a promising start with Apple's much anticipated Spring Forward event. Both the internet and real life (that thing where you talk to actual people with your face) were vibrating with speculation about what would be revealed. 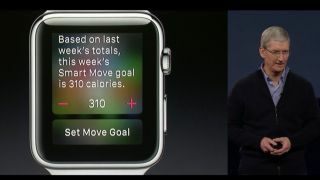 One of the less surprising items was the appearance of the Apple Watch, but before we were allowed a look at that, we were forced to sit through a lengthy preamble extolling the virtues of ResearchKit and the ways it could help medical research and potentially save lives. Although there's certainly a lot of potential with HealthKit, it wasn't the real reason we'd tuned in (and nor was it why we'd sent Gareth Beavis to wait in line at an Apple Store in Berlin). Like everyone else, we wanted the watch. We watched Tim Cook strut across the stage. We saw an impish smile play on his lips. We held our breath and waited, and he announced... a new MacBook. Sure it's really thin, pretty expensive and comes in gold, but again that's not what we were there for. With our patience beginning to strain, Cook finally unveiled the Apple Watch (again), and we got some answers to the questions that have been swirling since Apple first announced its smartwatch. How long does the battery last? According to Cook, it will offer "all day battery life across a range of activities." So it lasts 24 hours then? Err... not exactly, with Apple admitting that by "all day", it really means "up to 18 hours." The good news is that once the battery gets to a certain point, a power reserve mode will kick in, prolonging the battery for 72 hours and letting you check the time (and only the time), just like those old fashioned watches people used to wear in wartime. Another pressing question was how much will it cost us? Once again, Apple's answer wasn't terribly straightforward. The entry level Watch Sport starts at $349 (£299/AU$499), going all the way up to the 18-carat gold Watch Edition at – wait for it – $10,000 (£8,000/AU$14,000). It looks like LG wants to get its curve on, with a number of renders leaking this week which appear to show the upcoming LG G4 with a slightly curved body. As I'm sure you're aware LG is no stranger to curved smartphones, having dabbled in the bendy form factor with the LG G Flex and the LG G Flex 2. If these renders are accurate then the LG G4 will feature a slightly less bowed design than its forebears, which means it could be the perfect smartphone for those of us who like a bit of a curve in our phones without wanting to feel like we're talking into a tennis ball. All was darkness. All was lost. Or was it? Two thin slits of light creeped in as Winston, nobody's favourite smartphone-obsessed unicorn, slowly opened his eyes, having passed out the week before. "How… how long was I out?" he croaked, still feeling confused and lost. "Seven days" a reassuring voice replied. "Well..." less reassuring now, "seven old days. Since our Apple overlords have decreed that a day is only 18 hours, you've actually been out for 9.33 new iDays". Winston could feel his already fragile grasp on reality weaken. He stretched out a trembling hoof in a futile bid to find his beloved BlackBerry. "Where is my phone?" he asked. His vision had now returned and he glanced about to locate his handset. The doctor exchanged a nervous look with a colleague. "We don't have it I'm afraid. But here, take mine". He offered a slick, smooth, oval shaped device, with an Apple logo stamped on the back. Winston took the smartphone and stared at the buttonless touchscreen. "But...where are the keys?" he enquired. "Ah, about that," the doctor replied, pausing to remove his glasses and clean them. "We have some bad news..."
How will Winston the Smartphone Unicorn react to a world without keys on smartphones? Tune in next week to find out! Same unicorn time, same unicorn website. Witness the first ever public phone call made on an iPhone, when Steve Jobs rang up Jony Ive (who was still sporting a lowly flip phone) at the iPhone launch event. Sure it's a little staged and cheesy, but it's also the moment when phones changed forever. Why is the lady eating the phone? What is this image trying to convey? Is it a play on "all you can eat data?" Probably not, that phone looks like it's so old it wouldn't recognise mobile data if it came up and slapped a photo of a cat in its face. But why is the lady eating the phone? Why? Eating? Phone? Why? I'm scared. Touchscreens? Pah! The only way to navigate your smartphone is with the Navi Roller, an uncomfortable scroll wheel that debuted with the Nokia 7110 in 1999. This archaic advert from THE LAST MILLENNIUM employs strangely literal visual metaphors and near pornographic close up shots of the 7110's Navi Roller to show us the smartphone future. As the narrator confusingly states: "Life is too short to stand in line. The Nokia 7110 supports world wide web." The internet on our phones? That'll never catch on. Apple might have had all the headlines regarding wearables this week, but we also think it's been a great week for Android Wear. Android Lollipop is fresh out of the oven, but it looks like that's getting updated to Android 5.1 any day now on Nexus devices. HTC smartphones and tablets will be getting it soon as well. Is the Apple Watch worth getting if you don't have an iPhone? We explain all the things you can do without connecting them up. The Nexus 5 is officially dead as Google stops selling it in its official store.